Having the luxury of warmer weather year-round, affluent homeowners are always looking for ways to beat the heat. Join Hilton & Hyland as we wade into the deep end of extravagant design and explore five swimming pools that are sure to make a splash. With temperatures rising into triple digits, this villa’s spectacular indoor pool is sure to keep you cool. 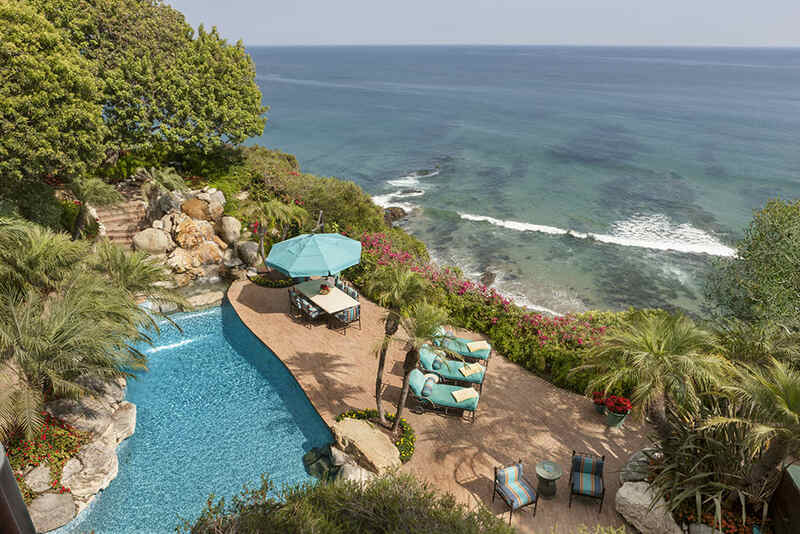 Should you not want to utilize your private access to the Point Dume coastline, listen to the waterfall cascade into the Koi pond adjacent to the turquoise saltwater pool and sun deck. 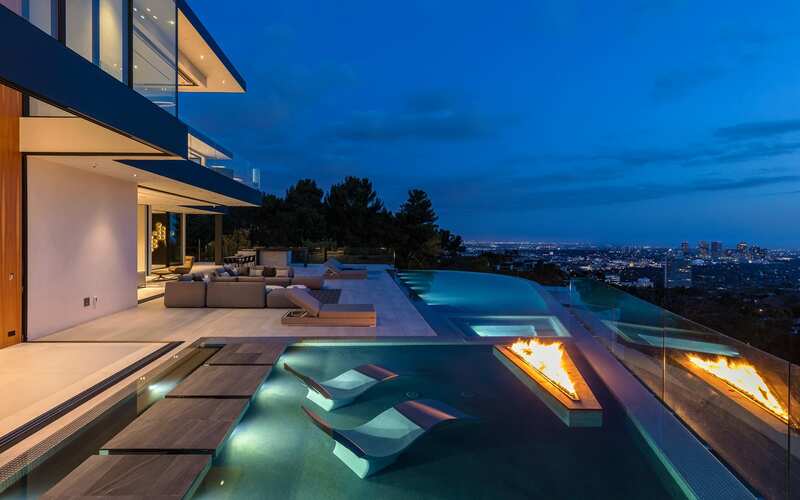 Not only are you beneath the stars with jetliner views of Los Angeles, but you will feel like you are swimming to the edge of the city in this contemporary masterpiece. The dazzling water feature graces the resort-size swimming pool and spa, setting a new standard of elegance, beauty and sophistication. The grass-edge design allows you to ditch the deck and really integrate the property into an entire indoor-outdoor living space. Not to mention, the manicured lawn juxtaposed against the symmetrical pavers bring a traditional feel to this backyard oasis.